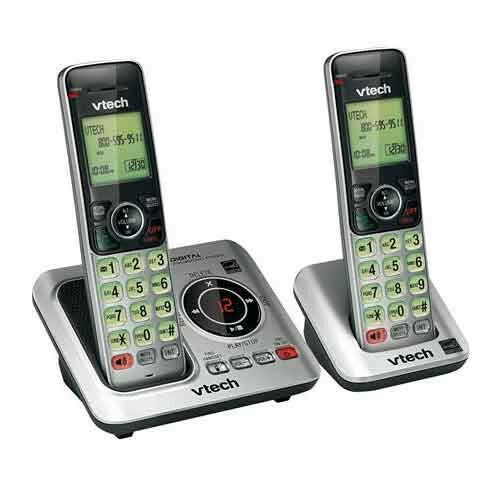 V-Tech's Two Handset Cordless Phone System does all the basic functions of a cordless phone with the added comfort of having a second phone in an extra room. The expandable system features Caller ID and Call Waiting to go along with a digital answering system for voicemails, etc. The system includes a backlit keypad and display for easy viewing, and ecomode to save battery and a quiet mode that silences the phone for added convenience. It also comes with speakerphone and a voicemail indicator. As an added incentive, the set is able to connect with up to five handsets.